“Mental Illness” is Aimee Mann’s ninth solo album and her first in five years. Aimee Mann’s reputation as a miserablist might be a bit overstated — there’s a lightness about her folk-pop that lessens the blow of even her most cutting lyrics. That tension animates her best solo work — the Oscar-nominated lament “Save Me,” the gently strident “Charmer” — and it’s a constant presence on “Mental Illness” (SuperEgo), where Mann’s breezy voice and some well-placed string arrangements add airiness to the lyrics’ depictions of woe. “Mental Illness,” Mann’s ninth solo album and her first in five years, doesn’t so much revel in its sadness as it regards it from a distance, sometimes ruefully, sometimes tinged with the slightest bit of hope. Mann’s voice, a low alto that shivers ever so slightly when it reaches its upper limits, helps with this emotional grounding; even when she’s singing from the first-person perspective, as she does on the rolling “You Never Loved Me,” there’s an authorial knowing that absolves her characters, and the idea that life happens to everyone whether you want it to or not is cushioned by strummed acoustic guitars and Mann’s straightforward delivery. “Philly Sinks” is a gently realized lament about a man trapped in his own head, with Mann’s pointed description of his slowly mutating depression being cushioned by slowly swelling strings and a backing chorus of deliberately uttered “oohs and “ahs. “Patient Zero” undercuts a hopeful’s triumphs with the notions of bad luck lurking and others’ successes being bigger, and more important — the idea that one will never be good enough always lurking in the shadows. In January, Mann told Rolling Stone that “Mental Illness” would up the sadness quotient to levels not before seen in her catalog. But the way she made that declaration, calling the LP the “saddest, slowest, most acoustic, if-they’re-all-waltzes-so-be-it record” she’s put out to date, belied the wit that makes her music transcend simple gloom, and anticipated the release valves that pop up around “Mental Illness.” An album rooted in the low end of the emotional spectrum is a risk, but through fastidious instrumental detailing and lyrics that evince sympathy even when they’re at their most cutting, Mann crafts a melancholic atmosphere that is worth repeated listens, whether as a means for catharsis or as a well-crafted cloud to ease the punishing brightness of a too-sunny day. 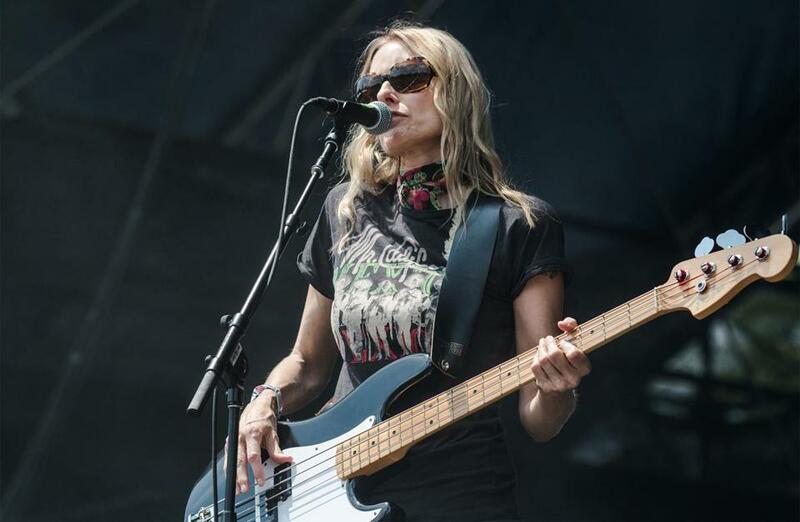 Aimee Mann headlines The Wilbur on April 24.